Water Features & Aquatic Landscape Design. Water Scenes offer water garden design, water feature consultancy and construction services for fountain water features, garden fish ponds and natural swimming pools. Based in the New Forest on the boarders of Hampshire and Dorset, we cover the south of the UK including London and beyond. We have a diverse portfolio of private and commercial water feature projects. About Water Scenes. Our combined experience in design and construction is wide ranging and includes a long list of technical solutions and installation techniques. These skills enable us to produce individual water features to high standard. We have a proven ability in the construction of complex and interesting designs. Historically, water features have been an intrinsic part of garden design. Over time, many different styles and techniques have evolved. Modern examples include fountain water features, water sculptures, waterfalls and water walls…all used to create stunning effects. Aesthetics – A well-designed garden water feature compliments the landscape and provides an eye-catching point of interest with year round visual and audio appeal. Imagination – Water features allow garden designers to be creative with hard-landscaping elements, adding ornaments, underwater lighting and special-effects. Perfection – Gardens and landscapes can feel incomplete without a water element. Nature – Ponds attract wildlife into your garden and give you the opportunity to keep goldfish, Koi Carp, and aquatic plant species. Sound therapy – The calming and tranquil atmosphere water creates is proven to promote a sense of well-being. Noise cancelling – The soft and soothing sounds of water features help to cancel out unwelcome noise pollution. Looking for water feature ideas why not check out our blog, it contains lots of articles and how to tips like this video below. How to build a water feature. Water Scenes have been working with home owners, architects, developers and garden designers for over a decade. 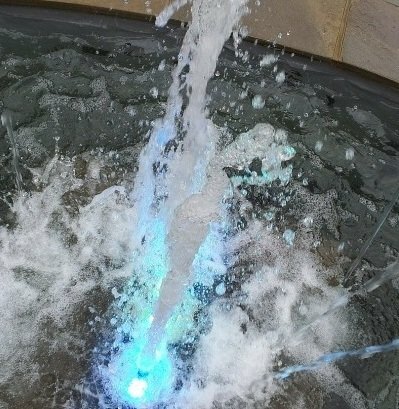 Our main objective is to produce unique and stunning water feature effects whilst maintaining a balance of functionality. This is reflected in our water garden designs and can be demonstrated at every stage of the process. Water Scenes are qualified specialists; our aquatic landscape features are designed to a high standard and have many unique specifications. We understand the technical difficulties involved in producing bespoke garden features, as well as building standards and regulations. It is important for water features to have a good balance of function and style. It is also necessary to consider any constraints the site or property may present. Our creative process integrates these disciplines into the design stages. This allows ideas to be enhanced and costly mistakes to be filtered out early on. We boast a huge construction skill base, cutting edge product knowledge and invest heavily in research and development. Our ground-breaking techniques in the fields of construction, equipment efficiency, water quality/clarity and health and safety are the industry benchmark. All pool equipment is included in our designs. We also supply equipment to fit pre-designed concepts, proposals and under-construction projects. Everything we use is tried and tested by industry experts and many parts are guaranteed to last up to 5 years. Call us free on 0800 0232 988 to discuss your project. Successful installations require specialist skills rarely used or beyond the scope of a normal landscaper or general builder. We always recommend using specialist water feature companies if you are thinking of constructing a large or complex water feature/pond installation.